Happy belated St.Patty's Day!! 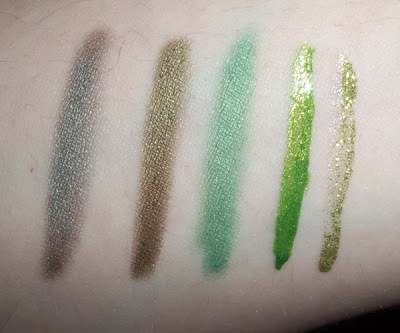 Here are most of my green eyeliner swatches. I have to say, I thought I had A LOT more than just five green eyeliners! Wow that liquid one is awesome!